You can’t avoid it any longer…. It is time to replace your old home windows. 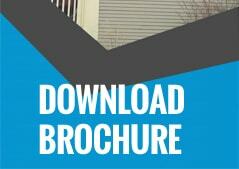 This is a process dreaded by many homeowners because of the mess and cost that is involved. You may want to consider energy efficient replacement windows that will ultimately save you money, are better for the environment, better for insulation, and require reduced maintenance. Choosing high quality, energy efficient windows can result in substantial benefits in the long run and are well worth it. The energy.gov website even promotes energy efficient window replacements stating that, “when properly selected and installed, energy-efficient windows can help minimize your heating, cooling, and lighting costs.” Find a window company that can install these windows properly and you will eliminate the worry of needing to replace your windows again any time soon. Energy efficient windows provide excellent insulation for the home, and save on energy by using a special E-coating on the glass. For example, if older double pain windows in a twenty six hundred foot house are replaced with energy efficient windows with low E-coatings the homeowner can save up to 15% on their energy bill according to the Efficient Windows Collaborative, a coalition of government agencies, research organizations, and manufacturers that promote efficient window technology. Low E-coatings are an effective way to keep heat inside your home in the winter or to keep it out of your home in the summer. 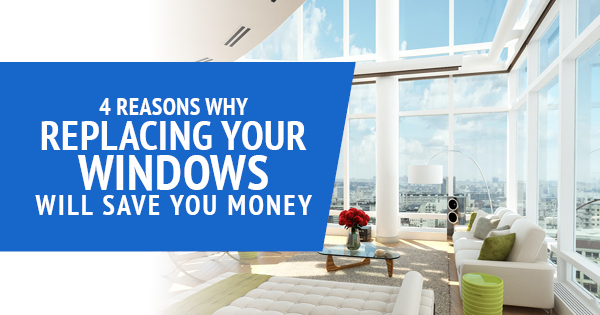 These are the best windows to minimize the need of A.C. or heat! This makes your home that much more eco-friendly because your home requires less power that is generated by fossil-fuel sources like coal or natural gas-fired power plants. Over time the sun’s UV rays can damage furniture, paintings, fabric, carpet, and wood. The special coating on energy efficient windows blocks the UV rays and protects your personal possessions. Most people want sunlight in their homes, and don’t want to be forced to draw the curtains to protect against UV rays. Now you don’t have to! This is also a money saver because none of those items will need to be replaced due to sun damage. Another huge plus of energy efficient replacement windows is that they assist in sound-proofing the home. Sirens, loud neighbors, or the hustle and bustle of cars will no longer be an issue. Not only that, they will also keep your home at a comfortable temperature in the winter and summer, provide lots of beautiful light, highly reduce outside noises, and eliminate pesky drafts. As for aesthetics, having your home look as good as it feels, the window company you work with will show you the different window frame options and glass options. Energy efficient window installation will provide the ultimate comfort for you and your loved ones in a variety of ways. Energy efficient windows are the best choice when it’s time to replace old windows in your home. 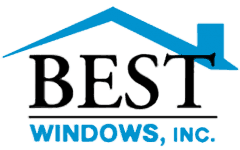 Look for a reputable window company that have a long list of positive reviews and extensive experience in energy efficient window installation. A properly installed window will reduce the costs of your home in more ways than one and will lead to reduced maintenance in the future. No one likes to go through the hassle of window replacements but energy efficient windows will make it well worth it while you are enjoying the sunshine, the savings, and the comfort they provide.